Learn what epilepsy is, why it occurs, what its manifestations and understand the difference between convulsions (seizures) and epilepsy. Our brain contains of billions of neurons that communicate and perform their functions through the constant generation of electrical impulses. The seizure or epileptic seizure arises when a disturbance in the generation of electrical impulses in the brain occurs, usually caused by a temporary, excessive and sometimes repeated, electrical activity. If this electrical disturbance is restricted to only one group of neurons, the patient will present a partial seizure (partial epileptic seizure). If these abnormal impulses spread, reaching the two hemispheres, we then have a generalized seizure. We give the name of epilepsy when the patient presents more than one episode of generalized or partial seizures, without an obvious cause and identify reversible as drugs, fever or metabolic abnormalities. For example, a person, who has consumed alcohol to excess and presents a framework for seizure, is not considered epileptic. Similarly, insulin in diabetics, which presents with severe hypoglycemia and thus develops a picture of seizures, is also not considered epileptic. 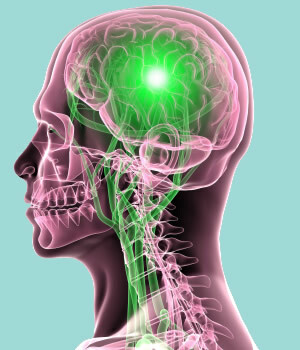 Epileptic is a patient who has some brain changes that predispose to the development of periodical seizures without any aggression to the brain to trigger it. Only those patients are considered to have epilepsy, who have had more than one episode of seizure without apparent cause. When we speak of seizure, or convulsion, that frightening image of a patient thrashing around, drooling, eyes rolled back and anarchist movements of the limbs immediately comes to our mind. In fact, this represents a generalized seizure, called a generalized tonic-clonic seizure. It's just one of several types of existing seizures. The seizure disorders (seizures) are divided into two groups: partial seizures and generalized seizure. The partial epileptic seizure is one that occurs when abnormal electrical impulses are restricted to only one brain region. Often the symptoms of these simple partial seizures are so subtle that the diagnosis is difficult to be recognized, even for the patient. Sometimes they are mistaken for psychiatric disorders. In complex partial seizures the clinical picture is richer. Unlike the simple partial seizures where the patient is fully aware of what is happening, in complex crises the patient has no awareness of what is going on. In general, a complex partial seizure is preceded by a simple partial seizure, receiving the name of aura. It is a kind of warning that the seizure is coming. In complex partial seizures the patient usually presents behaviors and repetitive movements like kisses, chewing, walking in a circle, staring, pulling the machine, turning their head from one side to the other, rubbing their hands etc ... All unconsciously. Sometimes the patient is able to obey orders and unable to speak, however, presents an incoherent speech. A complex partial seizure usually lasts for a minute on average. 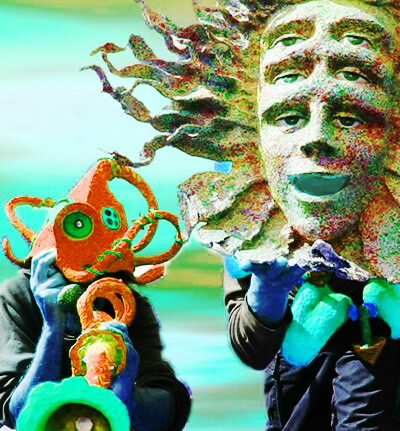 When the crisis ends, the patient returns to consciousness but tends to be very confused, not knowing what happened. Generally, the last thing he/she remembers is the simple partial seizure (aura) prior to the complex crisis. Partial seizures may precede a generalized epileptic seizure. In fact, the patient can start with simple partial seizures evolve into a complex partial seizure and end up with a generalized seizure. In generalized seizure the two hemispheres of the brain are affected. One of the possible manifestations of epileptic seizure is a generalized absence seizure, also called petit mal. In the absence seizure the patient loses contact with the outside world and stands with their eyes fixed. There may be some automation to poke their eyes repeatedly, as in complex partial seizures. The difference is that the absence seizure is shorter, lasting about 20 seconds, there may be dozens of times throughout the day and the patient has no aura, or being confused at the end of the crisis. Sometimes, the patient resumes the activity he was doing as if nothing had happened. Repeated flashes of light or hyperventilation (breathing rapidly for a period of time) may trigger generalized absence seizures. This type of seizure is most common in childhood and may disappear after adolescence. The most familiar type of seizure, also called grand mal seizure, is a generalized tonic-clonic seizure. It's the scariest part. The patient suddenly has a stiffness of muscles and immediately falls unconscious. It follows, then, with rapid and rhythmic movements of the body. The patient loses sphincter control, being able to urinate or defecate. It is common to salivate and bite their tongue during the crisis. 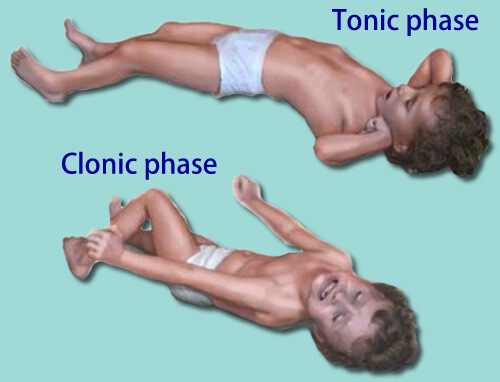 The tonic-clonic seizures last between 1-3 minutes. 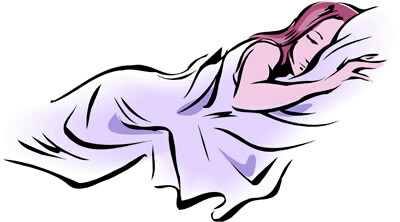 At the end the patient has an extreme fatigue, drowsiness, confusion and amnesia, not remembering what happened. Another type of epileptic seizure is the generalized atonic seizures. It manifests as a sudden loss of muscle tone, making the person fall. It is very short, lasting less than 15 seconds, but due to falls, often causes serious injury. Most seizures are self-limiting and do not need immediate medical treatment. It is called status epilepticus when the seizure does not yield after several minutes or when the patient has repeated frames of crisis and there is no time for them to regain consciousness between episodes. Generally, seizures lasting longer than 5 minutes are considered emergencies, since they place the brain at risk, and should be treated with drugs to abort them. Febrile seizures usually occur in children between six months and six years of age (peak between 1 year and 1 year and a half) who have fever over 38°C. Despite being a scary picture for the parents, it is benign and does not cause brain damage in children. It is common and occurs in up to 5% of children. If the child has only febrile seizure, they are not considered having epilepsy. What triggers a seizure is fever, regardless of its cause. 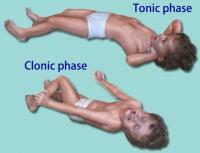 The crisis can be partial (most common) or complex, including tonic-clonic seizures. Febrile seizures usually take longer than seizures in epilepsy. They can last up to 15 minutes. Do not be alarmed if your child has a weakness in the limbs soon after the end of the crisis. It is temporary. There's no use in bathing in cold water or fill the child antipyretic. This does not prevent the onset of the crisis. It is not necessary to use AEDs. The picture is benign and the side effects do not justify its use. Febrile seizures do not bring more complications and disappears with age. The ideal is always to take the child to the pediatrician after the crisis to investigate the cause of fever and confirm that it is just febrile seizures, not epilepsy. What to do when witnessing a seizure? First of all, stay calm. The vast majority of seizures are self-limiting, disappearing spontaneously. It is important to know that a generalized seizure may be preceded by partial seizures, so if the patient is standing or sitting, the ideal is to throw it to prevent falls. Move objects that may hurt them. After the crisis is normal the patient remains unconscious for some time. Put them aside and let them sleep. If the patient is choking on their tongue, NEVER put your hand inside the mouth to try to help them. The patient may suddenly collapse a jaw, and you can lose fingers. The simple act of turning the head to the side is enough for the tongue to fall and open the airway. The act of turning the head to the side also prevents the patient drown in their own saliva. If the crisis is lasting longer than 3-5 minutes, call a service medical relief. Never offer anything to eat or drink immediately after the crisis. At this stage the patient cannot swallow right, suffering risk of aspirating food or liquid. Periodically, I am disturbed by cramps in the calves at night. Can the lack of any macro-or micronutrient be the reason for it? What drugs would you advise me to take? My wife was made out a diagnosis of Epilepsy four years ago. She received medical treatment and now is on the 5th week of pregnancy, but she stopped accepting drugs half a year ago. Can she deliver a healthy baby?